With the Arctic Freezer 34 eSports DUO Arctic has once again achieved a solid overall package. The cooling performance is really good in the class of 4-pipe tower coolers and the new “BioniX P” fans play their part in making sure that overclockers as well as silent fans get their money’s worth with the Freezer 34 eSports DUO. We particularly like the chic look in black, with which you can set your own accents apart from the RGB hype. If Arctic, as with the “BioniX F” fans, also offers the “BioniX P” fans in white, red, green and yellow in the future, there is also enough scope for customization. The price is really fair in terms of what is offered. With this great overall result, the Arctic Freezer 34 eSports DUO receives our OCinside.de Purchase Tip Award 01/2019. Tip: In the interactive Fit for Fan guide you can virtually fit coolers onto different motherboards and listen to many – Arctic Freezer 34 eSports DUO will be included in the next update. For a comparison with other coolers, take a look at our CPU cooler chart 2018 on the Intel Core i5 PC and the CPU cooler chart 2018, tested on an AMD AM4 PC system. Here is also the CPU cooler chart 2016 on the Intel Core i5 PC and the CPU-cooler comparison 2016, tested on an Intel Core i7 PC. And here is the previous CPU cooler chart with CPU cooler bevore 2016. A direct comparison to our previously tested coolers is however not possible here, since the test system has changed fundamentally in the meantime. 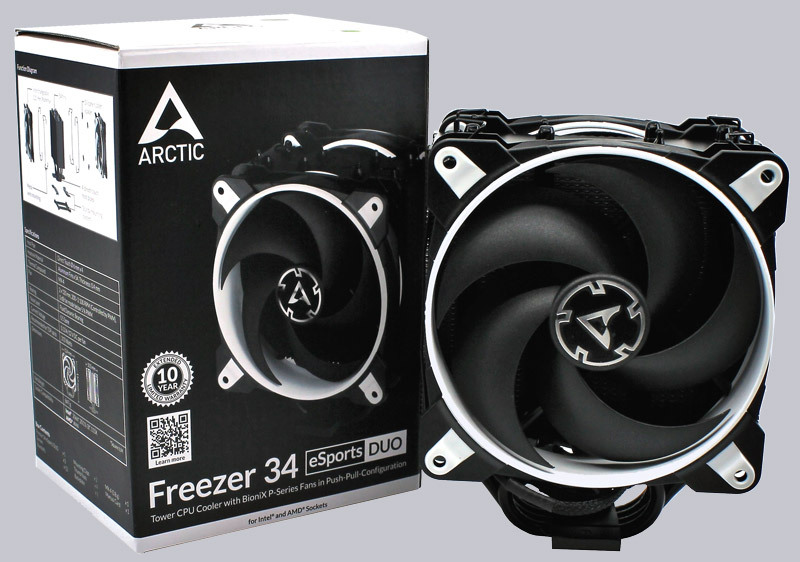 With some luck you can win the Arctic Freezer 34 eSports DUO here! Here you can buy the Arctic Freezer 34 eSports DUO.